'No Trace Without Resistance', installation at Eastern State Penitentiary, Philadelphia for the 2015 round of applications. 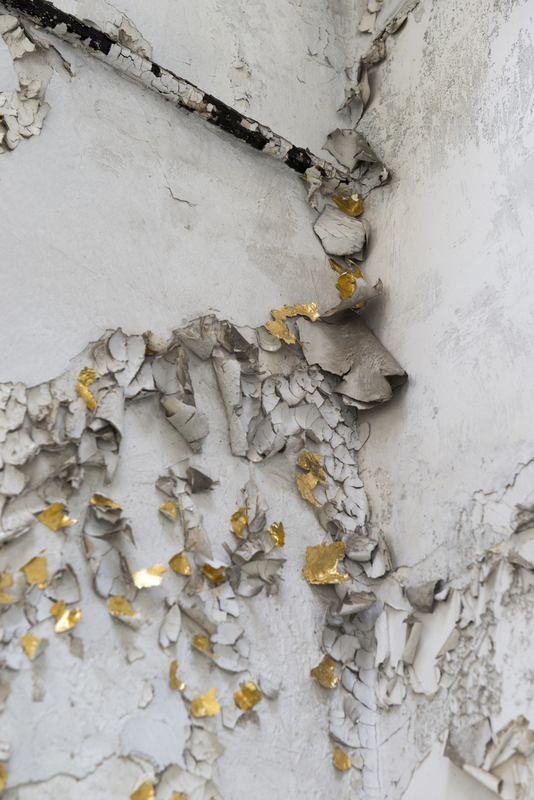 I applied new paint chips to the wall of an existing cell and then applied gold leaf to the new pieces. 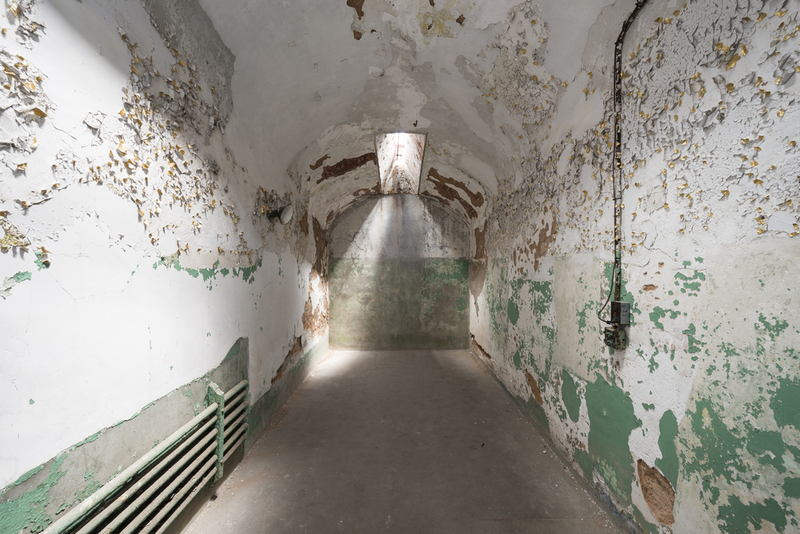 This resulted in a shimmering constellation - enticing visitors to enter the cell and contemplate the walls in a similar way an inmate will have been forced to focus on the walls during solitary confinement.